ONE. 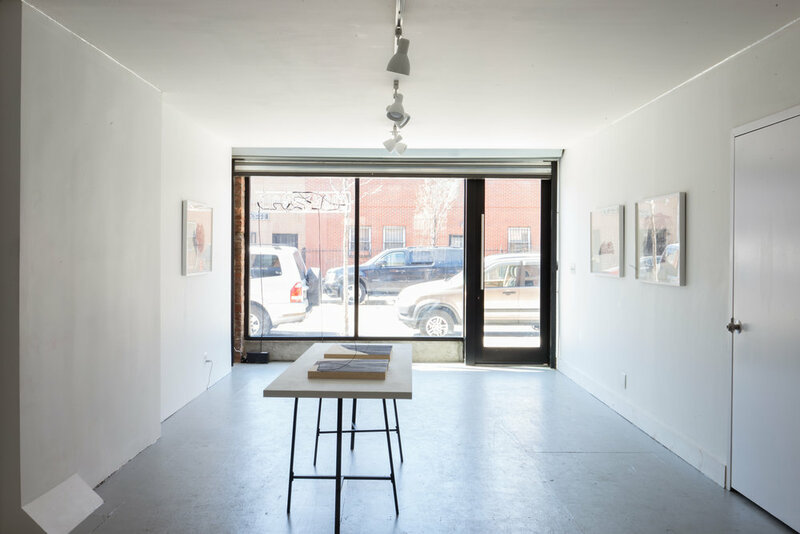 considers the social implications of geography through the works of Harold Mendez, Renee Gladman, and Torkwase Dyson. Each artist remarks on the principles that comprise an environment, operating from the premise that a setting is anything but objective and the experience and memories of its inhabitants are varied. 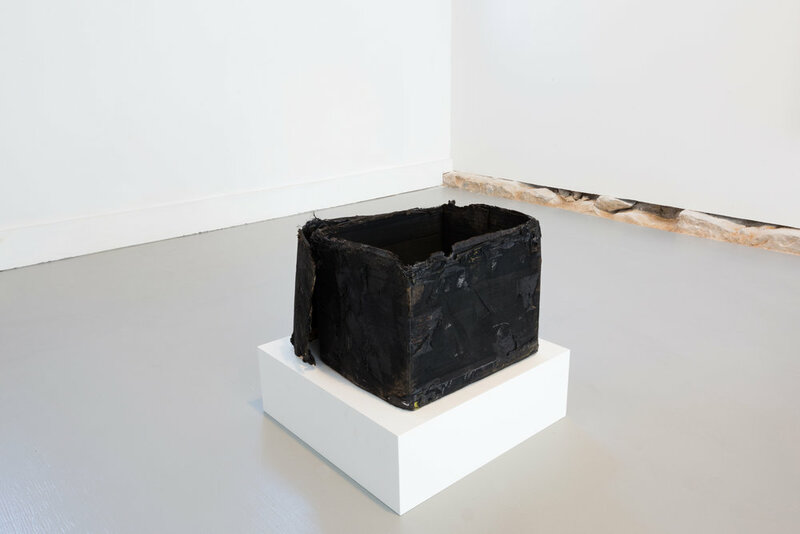 Through the transformation of historical objects, text, and spacial planes, the artists challenge linear readings and the limitations of tangibility. What liberatory course can be marked through experimentation with the pliability of space? Torkwase Dyson. "Value and Resources (Water Table #10)," 2017. Acrylic on canvas. 72" x 60"
Left: Torkwase Dyson. "Value and Resources (Water Table #10)," 2017. 72" x 60"
Right: Harold Mendez. "let X stand for the one's unfound (After Proceso Pentágono) II," 2016. Ink and toner on paper mounted on sintra. 29.5" x 19.5"
Harold Mendez. "let X stand for the one's unfound (After Proceso Pentágono) II," 2016. Ink and toner on paper mounted on sintra. 29.5" x 19.5"
Harold Mendez. "Untitled (Death Mask)," 2015. Burned cardboard box, soot, toner, oxidized copper reproduction of pre-Columbian death mask from the Museo del Oro (Bogota, Colombia). 14" x 20" x 14"
Torkwase Dyson is a painter who uses distilled geometric abstraction to create an idiosyncratic language. The works are deconstructions of natural and built environments that consider how individuals negotiate and negate systems and spatial order. Dyson’s work has been exhibited at the Studio Museum in Harlem, the Whitney Museum of American Art, the Corcoran College of Art and Design, the Schuylkill Center for Environmental Education, and the Smithsonian National Museum of African Art. In 2016 Dyson was elected to the board of the Architecture League of New York as Vice President of Visual Arts. She earned her Bachelors in Fine Arts in Painting from Virginia Commonwealth University and her Masters in Fine Arts in Painting from Yale School of Art. Torkwase is now based in Brooklyn, New York and is a visiting critic at Yale School of Art. Renee Gladman is a writer and artist preoccupied with lines, thresholds, and geographies as they play out in the interstices of poetry and prose. She is the author of nine published works, including a cycle of novels about the city-state Ravicka and its inhabitants, the Ravickians, and, most recently, Calamities, a collection of linked essay-fictions on the intersections of writing, drawing, and community. Recent essays and visual work have appeared in The Paris Review, Granta, Harper's, Stonecutter, and Poetry Magazine; her first monograph of drawings, Prose Architectures, is due out from Wave Books in Spring 2017. A 2014-15 fellow at Radcliffe Institute for Advanced Study at Harvard University and recipient of a 2016 Foundation for Contemporary Arts Grant and a 2017 Lannan Foundation Writing Residency in Marfa, TX, she makes work in New England. Harold Mendez works with installation, photography, sculpture and text to reference reconstructions of place and identity. A first-generation American born in Chicago to Colombian and Mexican parents, his work addresses the relationships between transnational citizenship, memory and possibility. 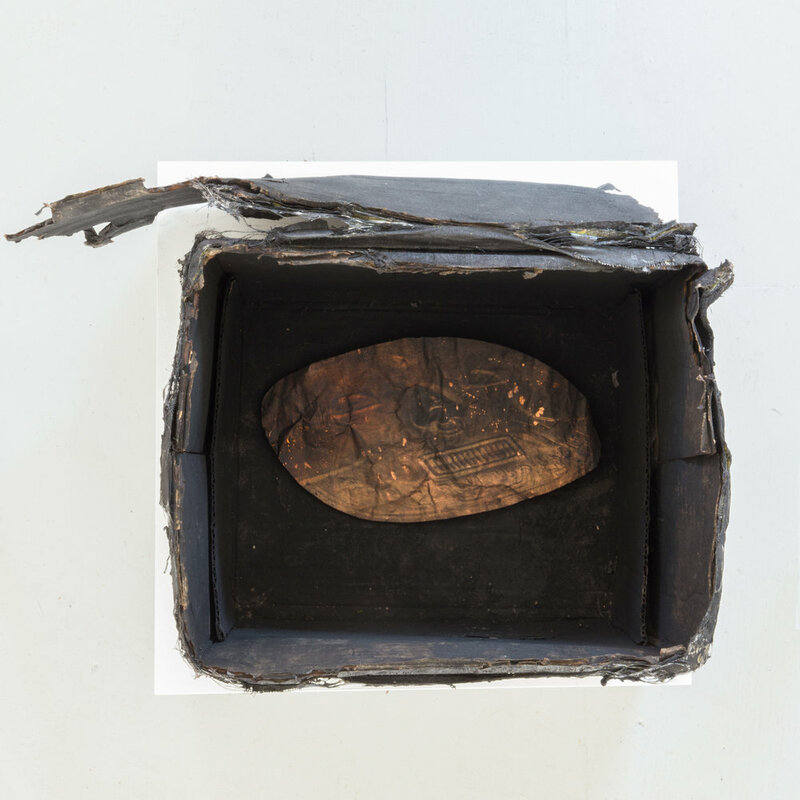 His recent work examines how reclaimed objects, makeshift monuments, and images reveal a life parallel to conflict, demonstrating both factual evidence and where traces of fiction emerge. Selected exhibitions include the 2017 Whitney Biennial, Whitney Museum of American Art; the Museum of Contemporary Art, Chicago; Museum of Modern Art / PS1, New York; Studio Museum, Harlem; Drawing Center. Reviews of his work have appeared in the New York Times, Artforum, and Frieze Magazine. His work is in the permanent collection of the Museum of Fine Arts, Houston; the Studio Museum, Harlem; and the Museum of Contemporary Art, Chicago.